Help us make a difference to our students through one of our Bursary Funds. The training at Bristol Old Vic Theatre School is rigorous and hugely demanding on the individual, with students in class for over 40 hours per week. This allows little time for them to support themselves with paid, part-time work. Selection for training at the School is based purely on talent and competition for places is fierce. Past students are working in all branches of the arts and entertainment industry with many such as Louise Plowright, Pete Postlethwaite and Christopher Cazenove becoming household names. Your donation will make an enormous difference to those students facing financial hardship. 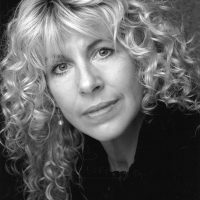 With the support of her family, a new bursary has been created at Bristol Old Vic Theatre School in memory of Louise Plowright, dearly loved and much missed past student, Louise Plowright, whose untimely death from pancreatic cancer was recently announced. Louise came to the Theatre School as a mature student; aged twenty-eight she gave up a secure job as a shoe-shop manager in Weston-super-Mare to train as an actor, having been encouraged by friends and colleagues in amateur theatre in Bridgwater where she then lived. Louise could only afford to train by gaining a further education discretionary grant from Somerset local education authority; she was refused this initially, but with lobbying from Principal Chris Denys, who wrote “Miss Plowright was unanimously considered to be the most uniquely talented young woman we have seen for many years. She was selected for one of only four places from nearly a thousand young actresses who auditioned for us this year. We are all confident that Miss Plowright has an excellent future.” Very true. In 2016 funding for drama school is very different. Discretionary grants are a thing of the past; the financial challenges that mature students face nowadays are immense. With tuition fees set at £9000 and loans only rarely available for very talented mature students changing career to train as performers or in production, we see many applicants who can only contemplate taking up a place with additional financial backing. We are so grateful that Louise’s family wish to celebrate her life in such a practical way, by helping others who find themselves in the position that Louise was in back in 1984; an immense talent that needed significant financial support to be able to train for a career in this rewarding but very demanding industry. Please make your cheque payable to Bristol Old Vic Theatre School. With the support of Pete’s family, the Bristol Old Vic Theatre School has established a scholarship fund to honour his legacy; the fund supports acting students facing financial hardship during their training at Bristol Old Vic Theatre School. To contribute to this new Scholarship Fund please see the information lower down this page. Pete trained on the two year acting course at Bristol Old Vic Theatre School (1970-1972); “Bristol was the only drama school I applied to… two of the best years of my life, I had a fantastic time”. Pete had been working as a teacher and had resigned his position to take up his place at the School; as a mature student Pete found that his local education authority, Lancashire, wouldn’t fund him, so he had to pay his way himself, taking, amongst other work, a job in a sheet metal factory. 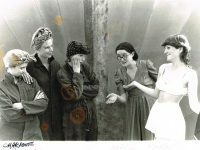 At the time, as is the case now, only limited support was available to less well-off students; Pete received some financial support from the Peter O’Toole Scholarship and the Bristol Evening Post Theatre Merit Award. His family now wish to establish a scholarship fund to help the many acting students in circumstances similar to those of Pete when he started out. The Bristol Old Vic Theatre School is one of the UK’s leading drama schools with an international reputation for excellence; past students are working in all branches of the arts and entertainment industry – many, like Pete Postlethwaite, becoming household names. The training is rigorous and hugely demanding on the individual, with students in class for over 40 hours per week; this allows little time for them to support themselves with paid, part-time work. Selection for training at the School is based purely on talent; competition for places is fierce. 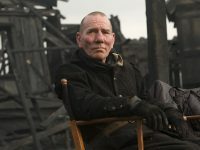 With the help of the Pete Postlethwaite Memorial Scholarship Fund we can ensure that the School continues to train students from all walks of life; talent has no social boundaries. You can donate to this fund immediately, online and securely through JustGiving. Sonia “ran away” from her family in London to train at Bristol Old Vic Theatre Drama School as a teenager. 60 years later she was still teaching there and her last day before going into hospital was spent, as always very happily, teaching the next generation of BOVTS students. Sadly Sonia passed away on November 12, 2013. In accordance with Sonia’s wishes a scholarship fund has been up in her memory at Bristol Old Vic Theatre School to assist students with financial hardship. Sonia enjoyed a 60+ year career in the theatre. After graduating from Bristol Old Vic Theatre School, as an actress she worked at the Bristol Old Vic; Birmingham Rep; Nottingham Playhouse; and spent two years as a member of The Royal Shakespeare Company. She was twice a member of the BBC Radio Rep. and appeared on Television in a variety of roles. Her work as a director began at the Mercury Theatre Colchester, where she ran the Studio Theatre, with an emphasis on contemporary and new writing. She continued to be excited by working with new writing. She has been awarded three Fringe Firsts at the Edinburgh Festival. She was awarded The Green Room Award in Sydney, Australia for “Gertrude Stein and a companion”. “Dickens Women” which she co-wrote and directed with Miriam Margolyes, received an Olivier nomination. Throughout her career she taught at many drama schools, including Guildhall, LAMDA and Drama Studio London. She very much loved coming back to her “alma mater” Bristol Old Vic Theatre School where she first started her career aged 16 years old. You can donate immediately, online and securely through JustGiving. The Christopher Cazenove Bursary Fund has been established with the support of Christopher’s family to support students training at Bristol Old Vic Theatre School facing short term financial difficulties. Christopher was a student at the Bristol Old Vic Theatre School on the two-year acting course (1964-1966). 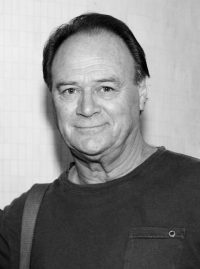 Christopher became a household name through his charismatic performances including, on screen as Ben Carrington in the US series Dynasty, on television in The Regiment and The Duchess of Duke Street, and on stage as Henry Higgins in My Fair Lady. He died aged 66 in April 2010.